In an article on Sunday 9th April 2017 the BBC published an article with the provocative title “Resurrection did not happen, say quarter of Christians”. The article was based on a poll that they had commissioned – it breaks down some of the numbers, shows some helpful graphs (showing the views of “All Christians” and “Active Christians”) and includes comments from various groups. It also – very helpfully – provides a link to the raw data and recognises that some of the results were drawn from people “describing themselves as Christians”. In the survey 1019 people described themselves as Christians while 315 described themselves as “Active Christians”. One of the questions asked was how frequently people attended a religious service (excluding special occasions such as marriages, funerals, etc) and of the group who were identifying themselves as Christians 31% said less often than monthly while 37% said never, that’s a total of 68%. While I don’t believe that the only sign of being a Christian is attending church I think there would have been questions asked if I said I was a student at college and never turned up for lectures! And this isn’t saying anything against the individuals but more a comment on our society where we are encouraged to consider ourselves as Christians even if we don’t have any faith in, knowledge of, God or meet with other people who are seeking to understand who God is and what the Bible teaches. Why is this a label that people hang onto and use to identify themselves? So a very different picture to the headline used by the BBC. But leaving that aside why is the resurrection of Jesus important? Paul, one of the early Christian leaders, speaks about the significance of the resurrection of Jesus in a letter to a church at Corinth. He was responding to people who were questioning the hope that people had in life after death (another topic covered in the survey) and arguing that without the resurrection of Jesus any hope in something “beyond” was pointless, that he might as well stop preaching and we might as well all stop believing. 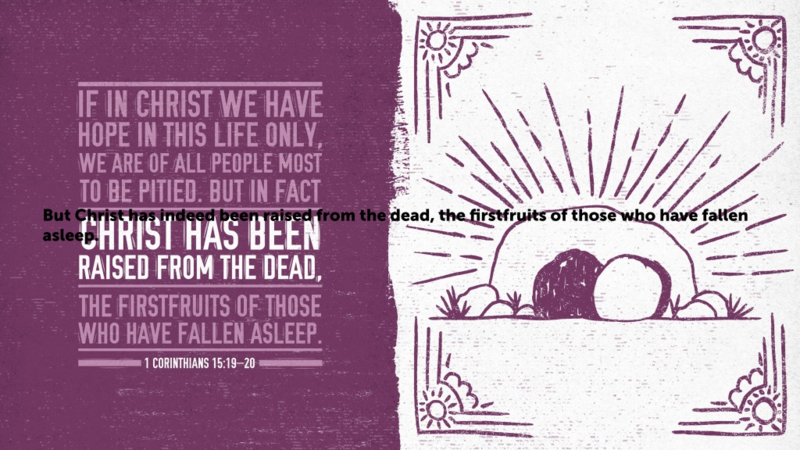 The belief in the resurrection of Jesus is an essential component of the Christian faith, without it we have nothing. It demonstrates that Jesus has defeated sin and death, it gives us real meaning for life today, and it gives us a totally certain hope for life beyond death with Him for ever. This Easter time would be a great opportunity to call into a local church and find out more about the reality of the resurrection of Jesus and the life-changing impact it has on life today and in the future. Let’s not just accept a doubtful headline but let’s find out for ourselves. 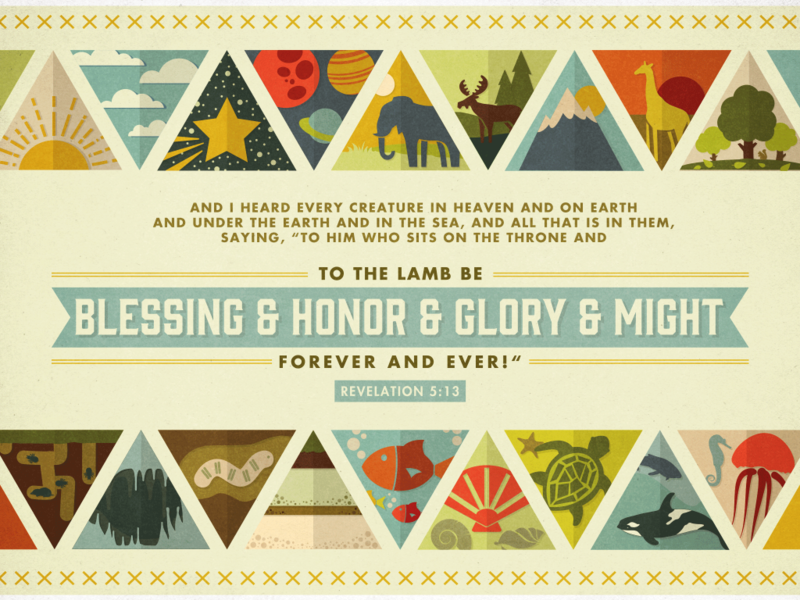 Last year, in our church, we had a preaching series on the book of Revelation – an opportunity to share together something of the greatness of God and His Lamb (Jesus), to hear the words of Jesus to His church, to gain insight into what is going on in the world and how God’s people are called to engage with it, and to look ahead to the wonderful future that is in store for us as God completes the work of re-creation and comes to dwell with His people (Rev 21:3). A number of people who weren’t able to get to some of the services asked for notes about what had been said so they could “keep up” and so I thought it might be helpful to make the entire set available. There are, as is well known, many ways to look at the book of Revelation and I am sure some people will see it differently from how I present it in this book. But my hope and prayer is that it will encourage people to look again at what the book says, to wrestle with it, and to hear God’s voice speaking through it. In his book Yancey reflects on these, and other, questions from a biblical perspective and makes some fascinating observations. When God did turn up and appear directly to his people they were afraid and wanted Moses to act as an intermediary. As he continues to explore these questions he makes some interesting observations. If ever the time was ripe to settle the question of God’s existence, it was while Jesus walked on earth. Jesus had one splendid opportunity to silence the critics forever. He talks about how people called on Jesus for signs but points out that even though those closest to Jesus saw the miracles he did it didn’t stop them running away and deserting him. Even that wasn’t enough. He seems to do nothing of Himself which He can possibly delegate to His creatures. He commands us to do slowly and blunderingly what He could do perfectly and in the twinkling of an eye. The progression—Father, Son, Spirit—represents a profound advance in intimacy. At Sinai the people shrank from God, and begged Moses to approach him on their behalf. But in Jesus’ day people could hold a conversation with the Son of God; they could touch him, and even hurt him. 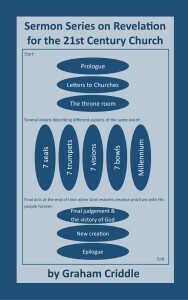 And after Pentecost the same flawed disciples who had fled from Jesus’ trial became carriers of the Living God. In an act of delegation beyond fathom, Jesus turned over the kingdom of God to the likes of his disciples—and to us. One of the implications of this is that if God seems silent and hidden and unfair then the church has some significant responsibility for that. There is much more in the book – his detailed look at the story of Job is well worth looking at – but Yancey avoids giving easy answers to difficult questions. And he points to a future hope when everything will be made well even while we struggle with the events that are going on around us. Its a fascinating book and if you want to explore these ideas further, I suggest getting a copy of the book and working through it. You may not agree with everything in it but it gives some deep and challenging insights into some of these difficult questions which we grapple and wrestle with.